The Xpress pump range has been specially developed for easy maintenance and to considerably shorten the servicing time and thus reduce costs. Reliable pumping of media, along with fast rotor/stator changes are ensured by the X-LIFT quick change system developed by WANGEN PUMPEN. The X-LIFT flange is constructed on standard flange design principles. 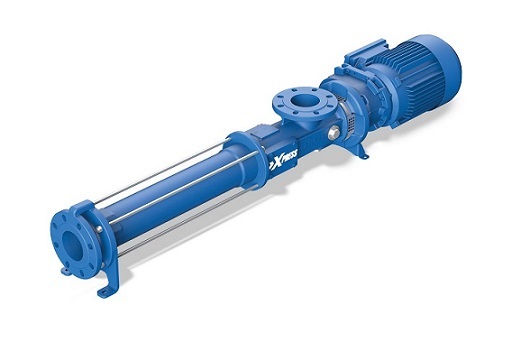 The Wangen Xpress Pump can address your needs for loading the separators in the rigorous operation of your biogas plant. WANGEN pumps perform special tasks in biogas plants such as loading the separators for separating solid and liquid phases. 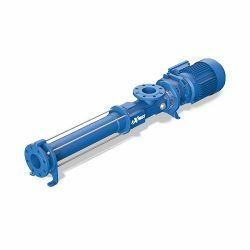 Conveying the substrates with their mostly high dry substance contents (DS) requires sophisticated pump technology. Optimum pumping results are guaranteed by the flow-optimized suction housing and a constant joint diameter which prevents the plaiting of long fibers.